As I breathe in, I breathe in all that I need…. As I breathe out, I let go of all that stands in my way…. Breathing is something I so easily take for granted and yet I owe it such a great debt…. 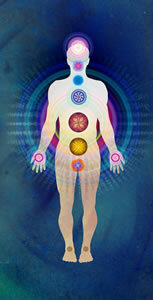 Breathing is literally the essence of life, the life force on which my body depends…. To become conscious of my breathing is such a beautiful and empowering thing to do…. I now make time to regularly become conscious of the power of my breath…. I now make time to regularly appreciate this most wonderful of gifts…. And as I do the wonder of my life slowly begins to dawn on me…. The countless opportunities to positively change become clear…. I choose now to breathe with awareness…. To breathe in what I need and to breathe out that which is no longer useful…. As I breathe in, I breathe in the courage that I need to face those things that must be confronted in my life… As I breathe out, I breathe out those fears, doubts and anxieties that repeatedly hold me back…. As I breathe in I breathe in peace and clarity…. As I breathe out I let go of the fog of confusion and my mind becomes crystal clear…. As I breathe in I become aware of the amazing power that resides in me…. As I breathe out I realise it is in my power to resolve my past issues and so I let go of that which blocks me…. As I breathe in I can feel that I am growing, evolving and I like how that feels…. As I breathe out I can feel all the tension, anxiety and worries evaporating away…. Consciously breathing in this way gives me access to the best in me and gives me access to the best the world has to offer me…. It’s amazing how quickly conscious breathing changes how I feel…. Within minutes my disturbed, chaotic, self-limiting thoughts are rapidly turned into beautiful jewels…. Jewels of thought that can and do change the way that I feel, both about myself and what stands before me…. A new spirit of optimism is awakened and with that the realisation that I have the power to make my life flow in more constructive and creative ways…. And so I now choose constructive and creative patterns…. Every time I breathe in, I breathe in all that I need to remain happy, whole and well…. Every time I breathe out, I let go of all those obstacles that stand in my way…. I’m now breathing my way consciously through my life…. And it’s wonderful….